I am elated to introduce my real-life friend Marian Merritt to all of you here at Inkwell Inspirations to celebrate her debut novella, Southern Fried Christmas. Marian was gracious, kind, and encouraging. She helped me critique my first finished manuscript, and endured my sophomoric efforts to critique the story she was working on at the time. Work and ministry obligations didn't permit us to spend a lot of time together, but to this day I treasure the conversations and emails we've shared. And so, without further ado, may I introduce debut author Marian Merritt. I’m a wife, mother, and grandmother. I like to say I’m an ordinary woman who serves an extraordinary God because I do. 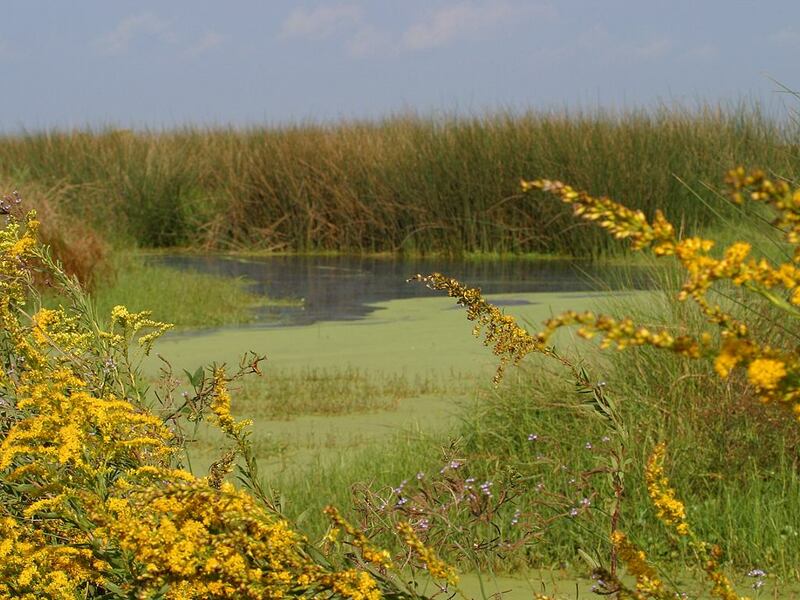 I grew up in a very rural town on the bayou in south Louisiana. That’s where I developed my insatiable appetite for books. We lived at the “end of the world” so reading became my passport to new and exciting worlds and people. As a child, books did so much for me and I knew from those early years of sitting on my grandparent’s front porch swing reading that I wanted to become a writer. I would love to provide the same passport to someone else. I work as-needed as a physical therapist, but dedicate most of my time to writing. I currently write from the home I share with my husband and Labradoodle in Northwest Colorado. How long have you been writing? "They" (whoever "they" are) say the journey from beginning to write seriously to publication averages ten years. What has your journey been like? Steady, or lots of ups and downs and starts and stops? Seriously writing, 2003. We’d moved to a new town and my daughter was starting junior high school. I decided to forgo getting a job and be home during those difficult junior high years. Not one to handle sitting home doing nothing, I decided to finally pursue my dream. Although I knew I wanted to write, I didn’t have a defined direction. I had started going to church again after a long absence and prayed for direction. My father-in-law had given me a box of books that he’d purchased at a thrift store. I read through them in a short time. The last book in the box was A Voice in the Wind by Francine Rivers—the first book in the Mark of the Lion series. I’d never read Christian fiction before and I didn’t think I’d like historical fiction, but I didn’t have anything else to read so I started reading it. I couldn’t get interested. It was two weeks and three attempts before I finally got into the book. After that, I couldn’t put it down. I finished the book in one night and raced to the bookstore as soon as they opened to buy the next two books of the series. It was after reading those books that I knew what God was calling me to do with writing. He used those books at a time in my life when my heart was open to his calling. Again timing. His perfect timing. There have been many starts and stops. We have moved many times since 2003 and I have worn many wage earner hats. Mostly, working as a physical therapist and an environmental technician. But regardless of what I did to earn a wage, writing remained the passion of my heart. Actually, getting Southern Fried Christmas published, I believe, was God’s "welcome gift" for coming back to his calling after five years of not writing. It was a long drought. For someone who is just setting pen to paper with the goal toward publication, what advice would you offer them? What would you have done differently, if anything? The best advice I can give was the best advice I got. I wish I had followed the second bit of advice for my first novel. It took me three years to finish the novel because I got so caught up in editing and polishing. As I learned something new I stopped writing to apply it to what I’d previously written. Apply when you finish the whole novel. I love National Novel Writing Month because it encourages writers to write even if it’s not pretty. You can fix it later. But you can’t fix words that are not on the page. 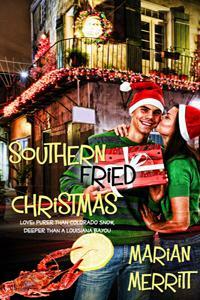 Southern Fried Christmas is not your first completed manuscript. In fact, one of your stories was a Genesis winner. Will you go back to those stories? 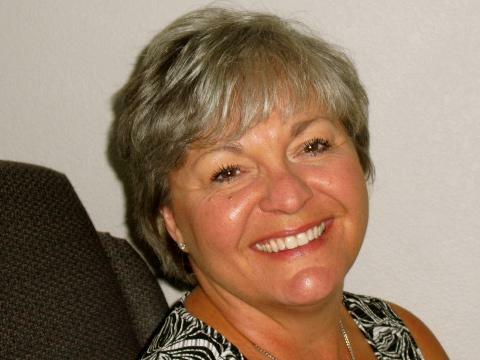 Yes, I was blessed to be awarded first place in Women’s Fiction in ACFW's 2006 Genesis contest. Currently, I have three completed women’s fiction manuscripts and have a few stories that are in various stages of completion. My plans are to go back and do heavy revisions on the three completed manuscripts and market them as a series. But I’m also moving forward with other story ideas. My plans are to write a Cajun Christmas story every year. I love that self-publishing is an option for writers and have been praying about that possibility. Setting plays a big role in your stories, almost like an additional character. How do you "flesh out" your setting to make it come alive for the reader? The setting is usually the first thing I envision. I close my eyes and see the scene then actively go through each of the senses. What would I smell? Feel? Hear? Taste? (That’s a big deal in the south!) What emotions are awakened because of those senses? Then I transfer that to my characters. When I can visualize my characters in a setting and capture those senses through them, I know I’ve got what I’m looking for. My desire is for someone who has never been to south Louisiana to feel as though they’ve been there after reading one of my books. I love that your characters demonstrate their faith in God without being "preachy." In your opinion, should Christian fiction aim more toward evangelizing the lost or edifying believers? Or does it just depend on the story? I believe it’s possible to do both. If we’re SHOWING a character working on BEING a Christian or struggling to be a Christian or struggling because they’re not a Christian, then we make them real. Through making our characters real, it’s possible to touch both the hearts of Christians as well as non-believers. It’s in touching our reader’s hearts that we make God-ordained connections. You can’t do that being preachy. I don’t like being preached to and I hope that God would open my eyes if there are places in my stories that do that. How long did it take you to write Southern Fried Christmas? Were you focusing on a particular publisher/request, or just had to tell this story? I wrote SFC more than five years ago. A dear critique partner and published author suggested a Christmas compilation proposal for the publisher that she wrote for. I wrote the first three chapters for the proposal and just kept going. 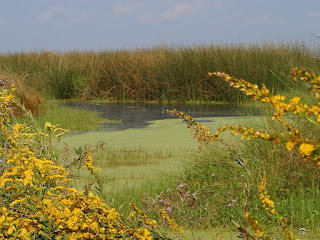 I wanted to write a story about South Louisiana that showcased the generous and caring nature of the Cajun culture. It’s changed a little from that initial story, but not a whole lot. It was rejected by that publisher and as all things in God’s timing it has re-emerged at this time of my writing career. This short story has shown me much more about how God works than about how publishing works! When I first started writing, publication was the destination. But as life unfolded and I allowed God to guide my writing, publication became less of the goal. It became solely about being obedient. As in all areas of our life, obedience is what God wants from us. And that can be difficult when you see writers who haven’t labored as long or what appears to be as hard as you get publishing contracts. Or writers who don’t follow the rules being rewarded. Somehow this writing bug brings out the childlike behavior in many of us. But God calls each of us to obedience in different ways. He may be calling them to break those rules for a reason. God’s timing for them is different than His timing for you. I’m sure when Francine Rivers wrote the Mark of the Lion series she never imagined that God would use those books to call someone to write for Him. But that’s what God used to bring me here. As writers it’s important to remember, it’s about writing the stories God calls us as individuals to write. That’s what makes this writing journey and the tormented souls who are destined to travel it, so blessed. It’s not a cookie-cutter, follow the recipe, and your book will be a bestseller world. And I’m grateful God has called me here. At this time. For His reasons. Wise and encouraging words, as always! Thank you for taking the time to visit with us today, Marian! Southern Fried Christmas is available as an e-book at Pelican Book Group, at Barnes and Noble for the NOOK e-reader, and at Amazon. A perfect virtual stocking stuffer or long-distance gift! Love: purer than Colorado snow, deeper than a Louisiana bayou. Welcome to the Inkwell, Marian! We really should interview YOU to get some first-hand info on Niki! I love God's timing and how he uses things in our lives to direct us. I would say every writer made the decision to write based on a book they read - sometimes it's because we think we can do better but often it is because something in that book just seems to be the right trigger. Your story sounds wonderful and I just know this will be the beginning and we'll see some of those completed stories contracted soon. Thanks for sharing your personal and fictional stories with us! Are you still in Colorado or have you moved again? Marian, I'm so glad you're visiting with us today. It's wonderful to get to know more about you. I love the absolute truth in this. G'morning, all! We are half buried in snow and drifts this morning in Colorado. Deb, to answer your question, Marian is still in Colorado. YAY! Suzie, I love that, too... Would make a great sign over my desk! Good Morning from snow-covered Colorado! Thank you, Niki for hosting me on Inkwell Inspirations! I'm honored to be here. Debra, Nice to cyber-meet you! I am still in CO. Despite many "almost moves" in the last year, it appears the Lord wants me here for the time being. Not sure I could give you anything you don't already know about Niki. Except that she can be a lot of fun to hang out with. Suzie, Thanks for the welcome. Yes, that's the best way to describe those words--absolute truth. The Lord spoke those words so clearly to me as though he sat in the chair opposite me during my Bible study time. Soooo, what's a writer who is trying to be obedient supposed to do? WRITE of course. I love your blog and the wonderful things y'all do here. I agree with you Dina. Not only are novellas a wonderful way to expand our reading repertoire, I think the Christmas ones are perfect reading material this time of year. It's nice to have something short and sweet and Christmassy to end these hectic days with! Thanks for the welcome! I agree with Niki, this time of year, novellas are great. Short, sweet, and quick reads to set the mood. I also read Carla Rossi's Dr. Noah and the Sugarplum Fairy and loved it! Marian, I so enjoyed this post, and learning a little about you and your writing journey. And I no have a new slogan to hang over my desk: God can't write through you, unless you write. Wow. Simply profound. I love it! Thanks for visiting! I love how true and motivating those words are. They touch something deep inside that gets my fingers flying across the keyboard. I pray they do the same for you, dear friend! Great interview! I enjoyed getting to know you, Marian--and I look forward to reading the book! Thank you! I hope you like your trip to South Louisiana via Southern Fried Christmas!